For the love of money is the root of all kinds of evil. We should seek to honor God with our finances. Also using them to benefit others, not just spend it on the pleasures of this life on ourselves. Jesus called us to love our neighbors as ourselves, this is one way to do that. Be a good steward and use your talents to help others and honor God. 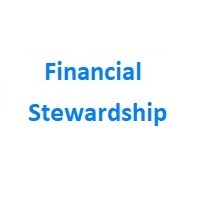 Here are some financial stewardship resources that can help you do that. Samaritan Ministries Medical needs share – about 80,000 members as of 2018. Liberty Health Share (affiliated with Mennonite faith) – about 98,000 members as of 2018. Medi-Share – more than 400,000 members. Compare healthcare plans from multiple providers at Christian Plans. Bright Peak Together™ is a revolutionary financial tool built for couples to help them manage money wisely and strengthen their relationship, together. Economic Principles – Concerned about credit, debt, and income? You should definitely take a look at this short 30 minute video, it is worth the investment of your time. Additional Mortgage online calculators: Fannie Mae’s Home Path. LendingTree® is the only online loan marketplace where lenders compete for your business and you choose the loan that’s right for you. Find Mortgage lenders and their rates at the following sites: Mortgage Rate and Bank Rate. Productopia a great place to go and compare products and product information BEFORE you shop on other sites or go to a ´brick and mortar´ store in your local area. Tony Robbins Financial handbook for retirement.